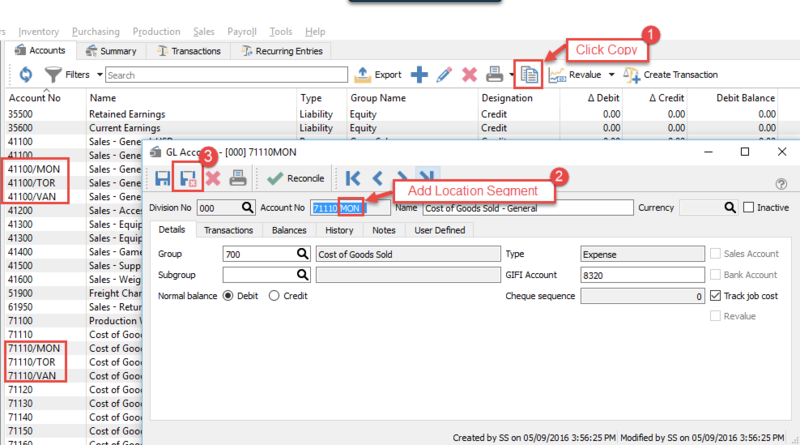 General Ledger – Create or designate one of the GL segments for locations or profit centers and name the segment with either one, The examples below show it set as a location. Once the segment is created and saved, go to the accounts tab and add names for the locations or profit centers as below. Then go into company settings/General and on the location segment select ‘Location’ (or whatever it was named) and save. Then add a GL account for each location or profit center.